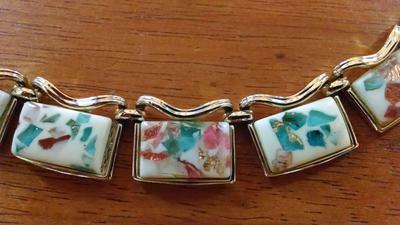 Today I bought this blue Coro necklace from an antique store. The lady that worked there didn't know anything about it except that it was from an estate sale. I've been trying to research it just out of curiousity and I found that it's from 1948-1979. 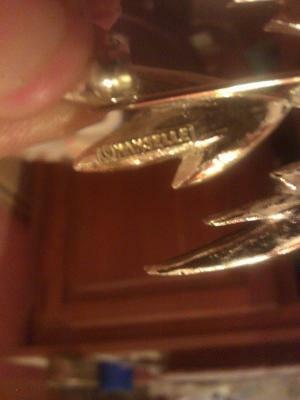 It has a J hook with "coro" inscribed on it. I know that the company used many different signatures. 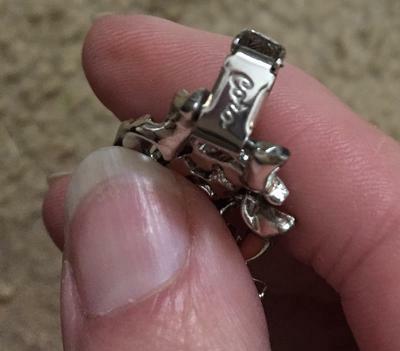 Is there a way to find out the year of this necklace? 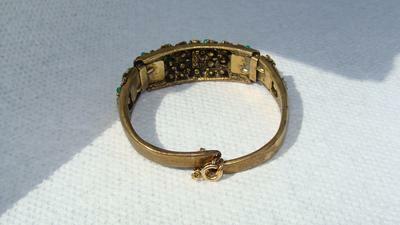 Can you help me identify this bracelet ? I have tried to find out the year value etc. The marking inside is CORO (just like shown here) It is all CAPS. any help would be much appreciated. 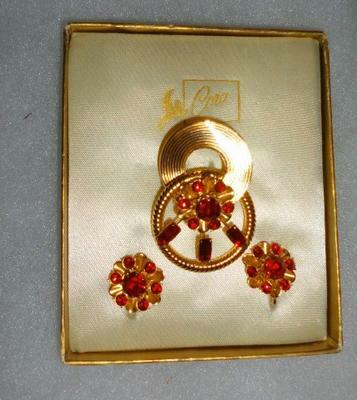 Can you tell me anything about this set? 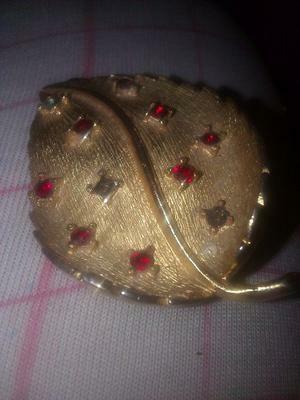 I have a Brooch signed CORO on the back. 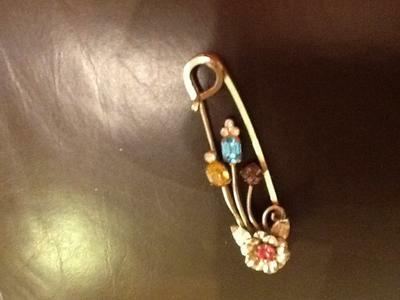 I don't have a picture of it yet but it's a gold in color with a circular flower and red and pink rhinestones. 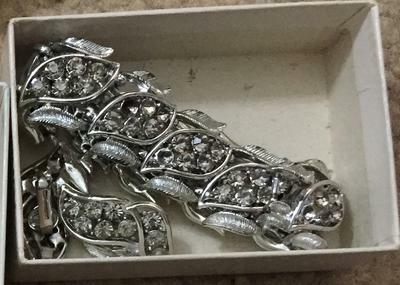 I was wondering if the company Coro made any rhinestone jewelry that did not have prong-set stones? 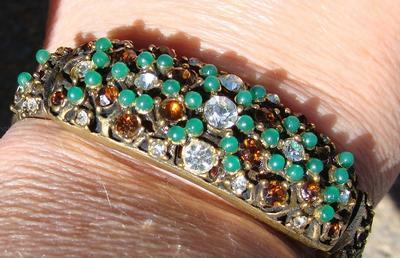 I picked up a piece that has flush set rhinestones and one large stone in the center with prongs. 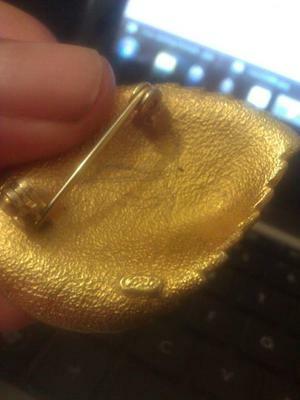 It has Coro in script on the pin back. 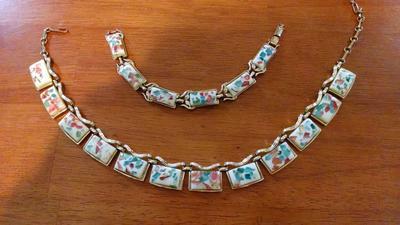 Hi, I have a CORO necklace/bracelet set and was wondering about the age and possibly what the value may be. 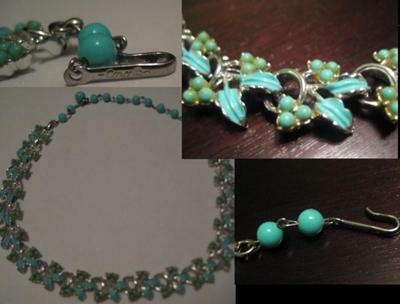 They are a match set and the necklace has CORO in script with a Copyright (c) after the script and the bracelet is the same script with the Copyright (c) before the script. I have included a couple of photos because the colors are kind of difficult to describe. I also have a lovely flying bird that has a Mamselle stamp on the back. Both these pins I can not find pictures of or info on. If you can advise on them I would be most appreciative. 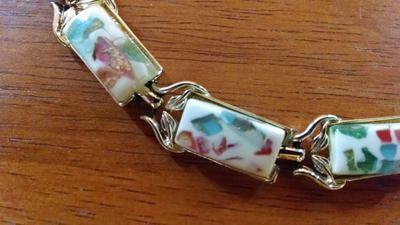 I'm having a very difficult time finding the age and value of my newest piece of my vintage collection. 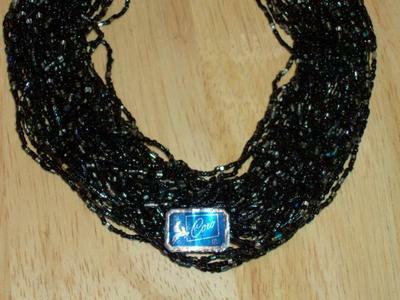 I have a Coro signed with copyright mark silver tone choker. 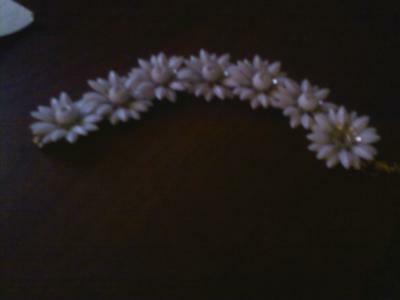 Half moon and floral design; no rhinestones or pearls, all silver tone. 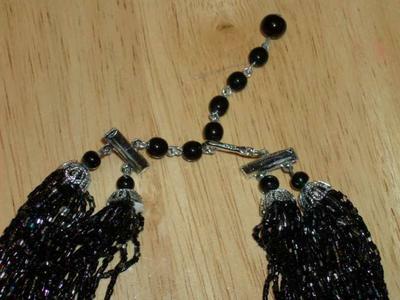 J hook clasp and on opposite end of J hook there's a small solid silver tassle charm that hangs down the neck when worn. 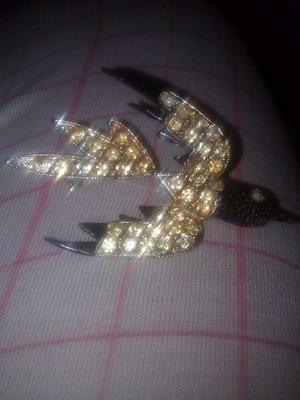 Just curious of the era of my hummingbird Brooch? The stamp is Coro. The wings do flutter. Also my mother purchased the bow necklace for me at an estate sale. 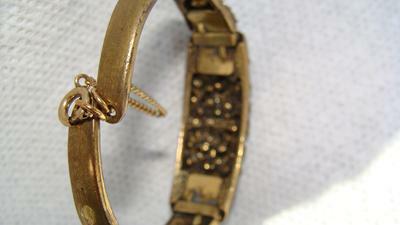 Some rhinestones are discoloured. Would you know the era.